The coffee shop at the Bramley Village Bakery opens at 7am. Start your day with a full English breakfast, or a bacon sandwich and coffee while waiting for your train. 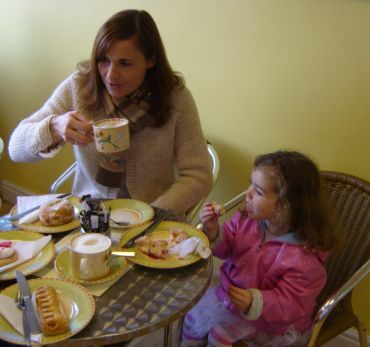 Our extensive range of home made cakes and pastries makes the coffee shop a popular morning coffee venue. Drop in and choose a danish pastry, a doughnut, chocolate chip cookie or muffin, together with a steaming cup of coffee or tea. Not many of our guests can resist leaving without taking a packet of our shortbread or a bag of belgian buns home for tea! 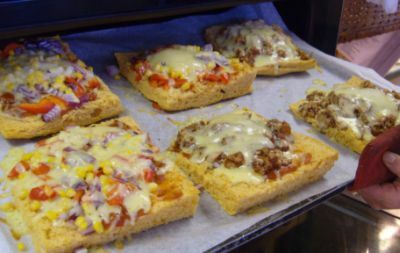 Lunch at the Bramley Village Bakery is a busy time! Select fillings of your choice to go with one of our freshly baked rolls, or choose from our sandwich menu. 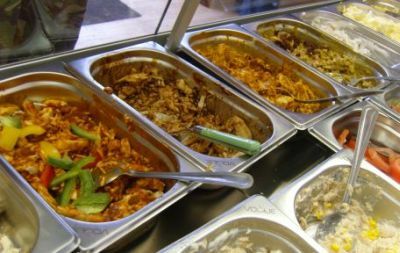 If you prefer, our hot menu offers choices of pasties, sausage rolls, pizza, jacket potatoes, toasted sandwiches and pies. Finish off with a delicious apple turnover, cheesecake or chocolate eclair. Fruit cakes, macaroons, bakewell tarts and carrot cake are all favourites for afternoon teas. 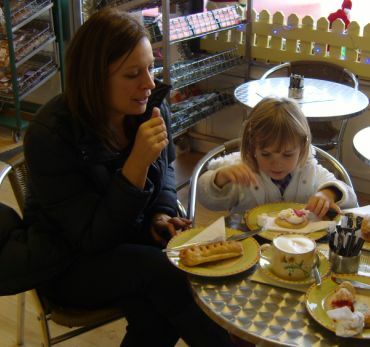 Meet your friends at the Bramley Village Bakery over a cup of tea and freshly made shortbread or treat the children after school to a gingerbread man or marshmallow cone.